The multiplayer version is where it gets interesting. Unfortunately, I’m not happy with the performance of the multiplayer version right now, so I’ll post an update about that later. Another desktop application! 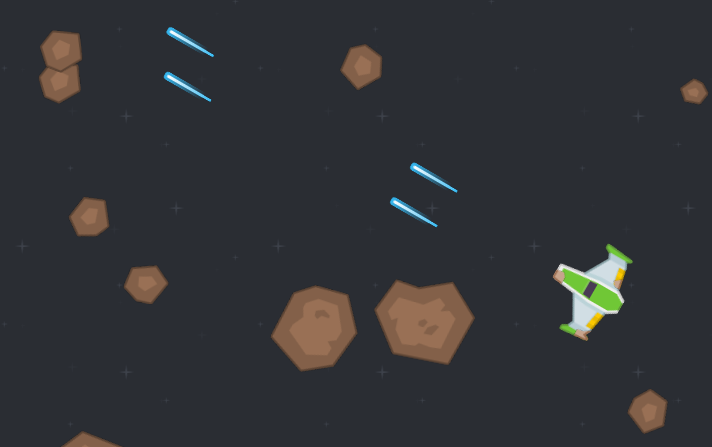 This one was actually challenging, (which makes a change from other desktop applications I’ve made) and I learned a lot while creating a useful tool at the same time! If that’s sold you already, click here to go to the download. It saves automatically as you type, so you can hop back into BeamNG Drive and hit “CRTL+R”, and the config will be loaded! What is the aim of this? BitBak is an automated offsite encrypted Dropbox backup which utilizes TrueCrypt volumes to keep your data secured while storing it on the cloud. The goal is to protect your work from prying eyes and data loss at the same time by automatically encrypting then backing up your files to existing free cloud services. Sold already? Go to download! Why take offsite backups in the first place? If you’re a student like me, you don’t have a great deal of money to throw around. You probably develop your small or individual work either using a local repo, a cheap repo, or no repo at all. A local repo means that all your files are at the mercy of your (or your local server’s) hard drive. Same with no repo at all. A remote, free/cheap repo may one day disappear off the face of the earth, or you may consider the fact that they are cheap is a means for them to steal people’s projects illegally (in which case you should opt for a local repo if you’re the only one working on it). So essentially the risks amount to hard drive damage or theft, or remote service termination (along with all your files if you’re unlucky). Very simply, it mounts a TrueCrypt volume, looks through all the folders you specify to backup, zips them up, copies them to the mounted volume, and unmounts again. In between this process, excess old backups are removed as per your specification. You can specify the interval at which to run, or you can silently run the program from the Windows Task Manager (just supply the argument “runsilent”) to allow total flexibility of when to run. At this point, I should make it clear why I use Dropbox this. Dropbox only syncs changed blocks, rather than the entire volume, so adding small files to your volume won’t cost you a few hours of uploading. 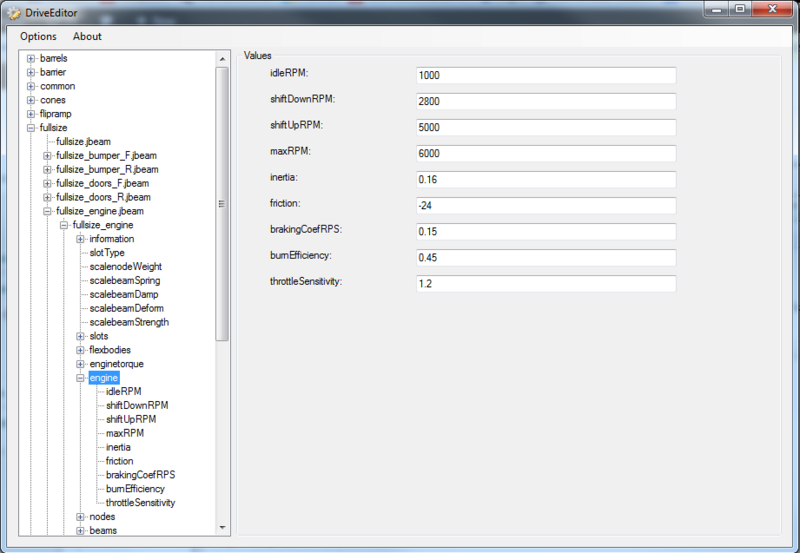 I should also point out that dynamic sized volumes will prevent a huge upload when you first create it. Of course, both of these choices are entirely up to you. 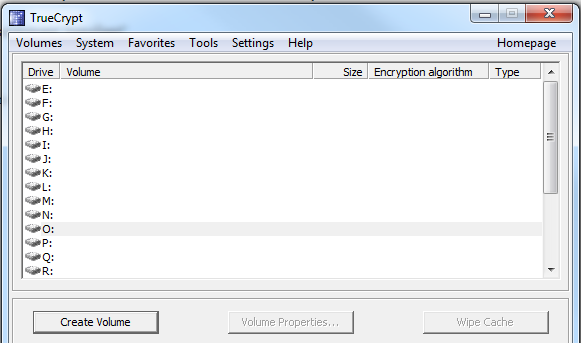 Open Options->Settings to let BitBak know where your TrueCrypt volume resides, what its password is, to add directories to the backup process, and to configure a few preferences. Run a backup from the main screen. That’s all! 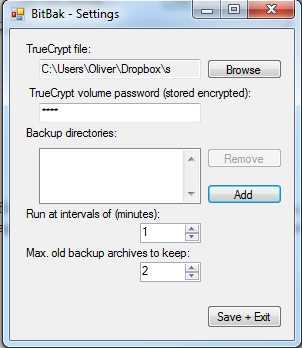 You should be able to see all the backups in your TrueCrypt volume when you next mount it through TrueCrypt. TrueCrypt and Dropbox are individually associated with thier own license agreements to which you must agree before utilising and installing those services. You must also agree to the license provided in ‘BitBak license.txt’ before using the program. 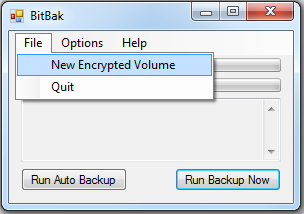 BitBak is an automated offsite encrypted Dropbox backup which utilizes TrueCrypt volumes to keep your data secured while storing it on the cloud. If you get a malware warning, that’s because I’ve requested administrator privileges. If you don’t trust me, read through the source code – it’s only a few hundred lines! Welcome to my blog! I aim to fill it with interesting stuff related to electronics, programming, computers and all that good stuff. I hope you find it interesting! If you’ve got any questions feel free to send me an email.